Whether referring to a live online casino or a physical match, blackjack is enjoyed by millions of players. It is a game of intuition, strategy and the ability to make snap decisions. We should therefore not be surprised to learn that blackjack can be encountered in many countries around the world. However, not all variants are the same. The intention of this article is to point out the differences between American blackjack rules and those followed by European players. While some are quite subtle, they can still have a substantial impact upon the outcome of any hand. Appreciating their implications is critical. 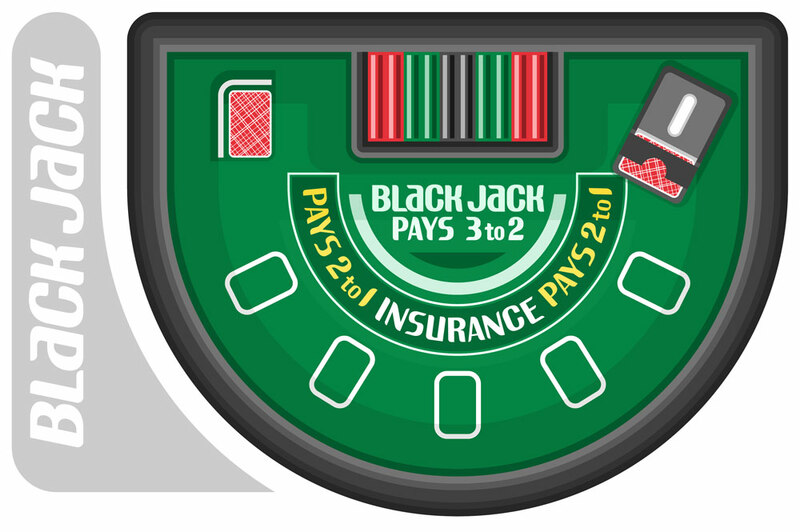 In American blackjack, the dealer is provided with two cards. The one facing down is the hole card. Assuming that he or she may have the possibility to create a blackjack (if the card facing up is an ace), it is permitted to briefly view the hold card. If the hole card provides the dealer with 21 points, the game is immediately over. On the contrary, no hole card is permitted in European blackjack rules. The dealer is given only a single face-up card. The second hole card is provided only after the players have been dealt their hands. The main difference is that the dealer is unable to create a blackjack before the other players have had a chance to participate. Now that we can see one of the main differences between the two rules, does one provide any advantages over the other? In terms of live dealer blackjack, some feel that American rules provide a slight edge. These rules may limit potential losses that would otherwise occur (such as when splitting or doubling up). There is no such firewall when referring to European blackjack rules. Playing blackjack online is often associated with accessing portals from different parts of the world. Not only is the aforementioned hole card important, but another major difference between American blackjack rules and European regulations involves the number of decks in play. Americans normally employ between six and eight decks while European dealers utilise only two. Why is this important? We should first point out that a greater number of cards provides a better house advantage. Secondly, it will be much more difficult to count the number of cards that have already been dealt. This is why expert card counters often prefer European blackjack. Let’s imagine for a moment that you are nearly certain that you can beat what the dealer is holding. In such an instance, you may very well choose to double down so that you can multiply your potential winnings. European blackjack rules are a bit restrictive in this case. You can only double down if the total value of your hand is between nine and eleven. American blackjack rules state that you can double down at any time and without regards to the value of your cards. Assuming that the dealer has a weak hand, the player may choose to split the two initial cards that he or she was dealt. Not only does this double the value of the bet, but is also doubles the win. There are two disparities between European and America rules. Oly one split is permitted when playing European blackjack. It should also be mentioned that pairs with a value of 10 or higher (10, jack, king and queen) are permitted to be split. American blackjack rules are slightly different. Players are allowed to perform up to three splits and pairs are not required. Thus, they have the potential to make up to four separate hands within a match. Most feel that it is possible to be more aggressive when dealing with American blackjack rules due to the more flexible splitting and doubling down possibilities. European players tend to be a bit more conservative. This also arises from the observation that only two decks of cards are allowed during a given session. Although some of these rules might appear to be subtle, they can have a very real impact upon any game. Those who regularly play blackjack online should pay particular attention, as the fast-paced nature of virtual games can contribute to substantial wins and equally serious losses. Please feel free to refer back to this article in order to enjoy a winning edge.